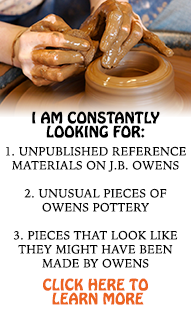 As second generation pottery collector, I began collecting Owens over 30 years ago. 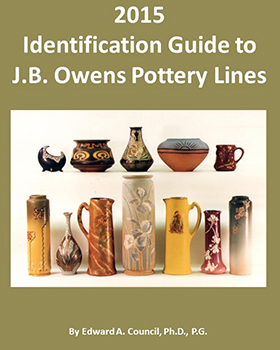 In the beginning I quickly recognized little information had been published on the J.B. Owens potteries. Due to this I began compiling data for an Owens book in the mid-1980s. I quit this initial effort after Owens Pottery Unearthed by McKibben and Stofft and Frank Hahn’s book, Collector’s Guide to Owens Pottery came out in 1996. Over time I meet and bought pottery from most of the early art pottery collectors/dealers across the United States that help expand my knowledge on Owens. 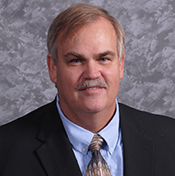 I also began traveling to Frank Hahn’s business operation in Lima Ohio. Over time Mr. Hahn provided me considerable access to his data achieves including the documentation he was using to develop a sequel to his Owens book. Unfortunately, due to his ill health, Frank Hahn never completed this book. Before Mr. Hahn’s death I acquired his research information and the core pottery he was using for his second book. Although I intend to complete this book, time limitations have stalled that project at least for the present. Nevertheless, this web site is part of the data process I am using to develop an Owens book.